This is the earliest version of the pinfire pepperbox revolver manufactured by Casimir Lefaucheux around 1845-1846. 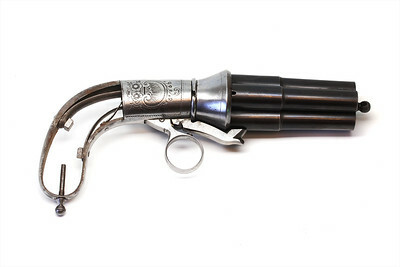 Lefaucheux “borrowed” the action from Guillaume Mariette of Liège, Belgium who made a percussion pepperbox a few years prior. 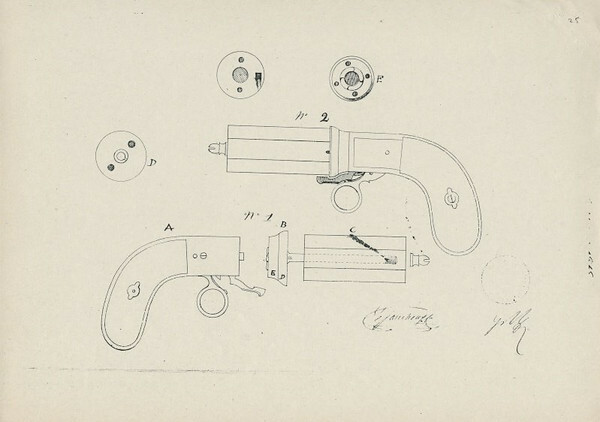 Casimir’s patent modified it to make it breech-loading by adding in that middle piece and allowing the barrels to come off. He said he also added many safety features. Mariette and Lefaucheux argued in court a few times over this but Lefaucheux ended up changing his handle and frame style and action a little bit to both appease Mariette and add newer improvements. 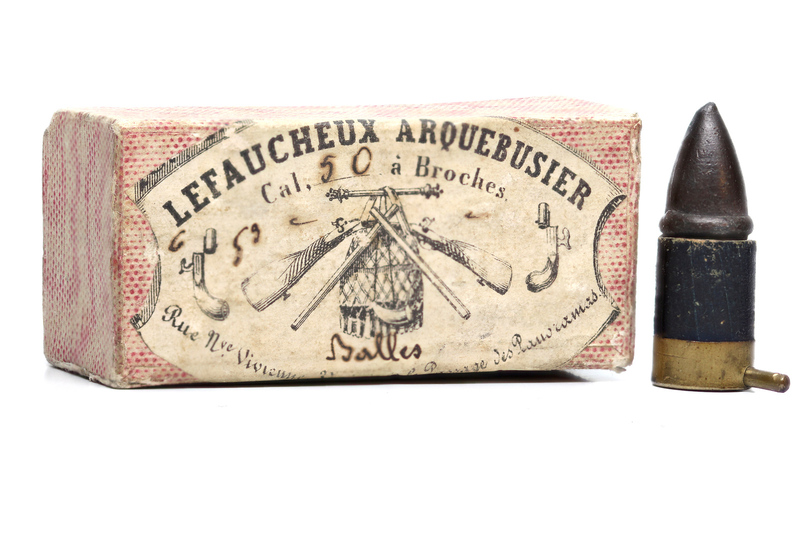 It is chambered for a 50 bore (based on the old French livre, making it an 11.81mm caliber) cartridge that Jules Joseph Chaudun held a patent for. 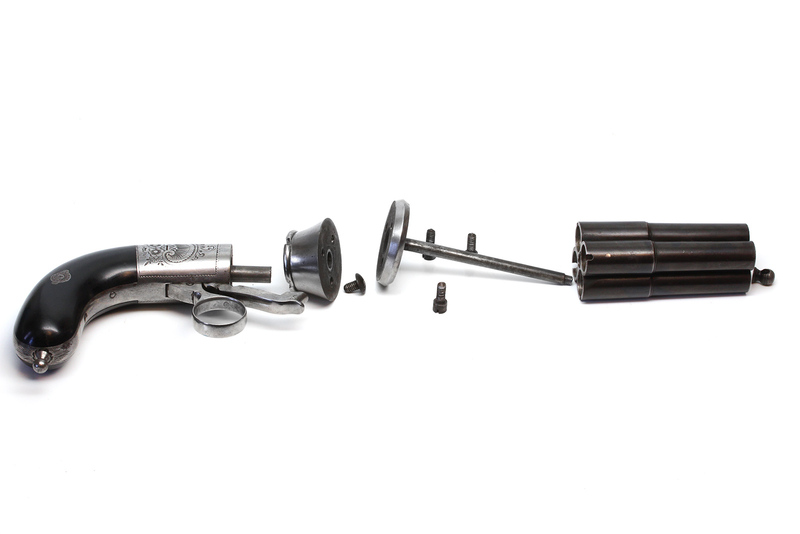 This is effectively a 12mm pinfire cartridge, and most later 12mm pinfire cartridges fit it in. 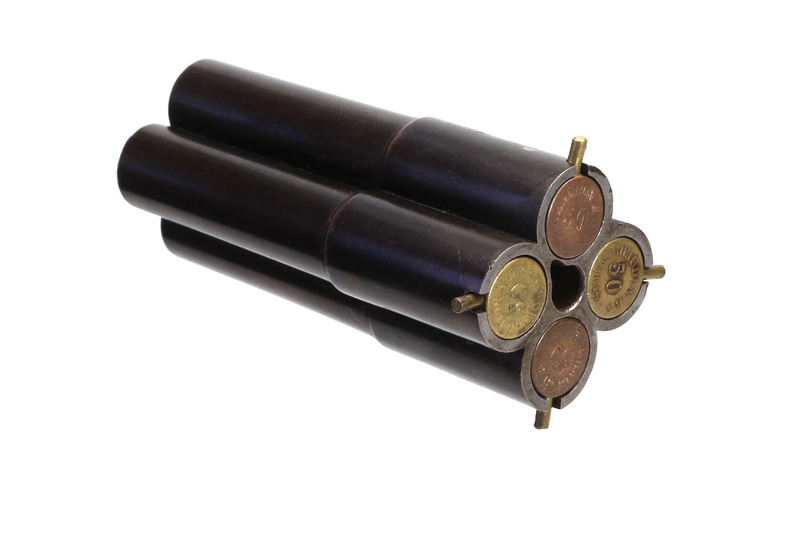 Chaudun seemingly hand-made these cartridges as they all seem to be slightly different. 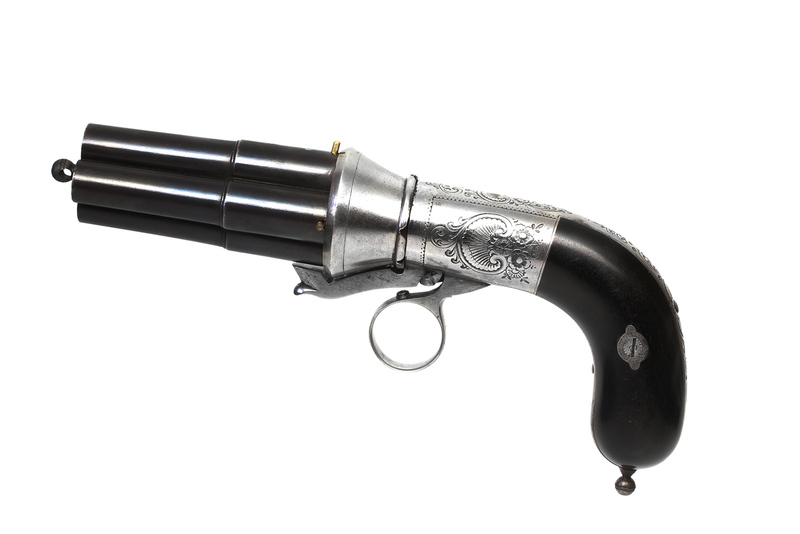 They exist in a round-ball load, the candle-flame bullet load as shown and a shot load. One interesting thing to note is that if you notice the little lever above the trigger, behind the hammer; when you pull it down with your other thumb (which is not extremely easy) and pull the trigger it only rotates the barrel and does not move the hammer at all.